Indian smartphone market has come a long way in the past recent years. Big display, Battery and Powerful processor are something which you can find on every other smartphone. The camera on the smartphone is also not left behind in this game of up gradation. The new trend in which every another devices coming with a Dual rear camera set-up has appeared to be a new rage among smartphones. In the past few years, this has become main stream and users can now find dual camera option on a budget as well as high-end smartphone. Today we have two of such devices which not only come with dual camera setup on the rear but also have a huge price difference. OnePlus 5 which was launched in June 2017 is powered by a Qualcomm Snapdragon 835 processor with 6GB RAM and 64GB internal storage. The display on the smartphone is a 5.5-inch full-HD Optic AMOLED with a pixel resolution of 1080*1920. The camera on the smartphone is a dual-camera setup with a 20MP + 16MP shooter and a 16MP front shooter for selfies. The OnePlus 5 runs Android 7.1.1 and will be getting an update soon. The device packs a 3300mAh battery. The device comes with different connectivity option like Wi-Fi, GPS, Bluetooth, NFC, USB OTG, 3G and 4G and Sensors on the phone include Compass Magnetometer, Proximity sensor, Accelerometer, Ambient light sensor and Gyroscope. OnePlus 5 supports dual SIM options. OnePlus 5 priced at INR 32,999. Infinix Zero 5 is one of the latest smartphones from Infinix. 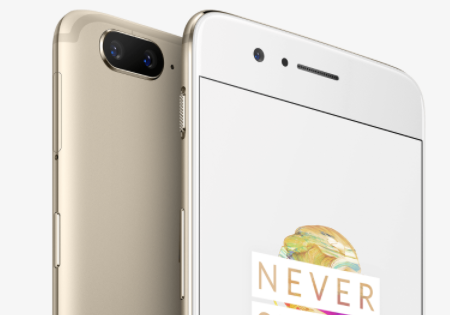 The smartphone was just launched this month at an event in Dubai. Talking about the specs, The Infinix Zero 5 comes with a 5.98-inch touchscreen with a full-HD resolution. The smartphone is powered by a MediaTek Helio P25 processor and comes with 6GB RAM and 64GB internal storage. This can be expanded up to 128GB via microSD card. The camera on Infinix Zero 5 is a 12MP+ 13MP shooter at the rear and 16MP sensor at the front of the smartphone. The handset runs on Android 7.0 and packs a 4350mAh battery. The Infinix Zero 5 is a dual SIM smartphone and comes with a bunch of connectivity option and sensor onboard. Infinix Zero5 is priced at INR 17,999. The Infinix Zero 5 comes with a larger display and has an option of expanding the storage while the OnePlus 5 has a much better-performing processor, good camera with higher pixel and supports NFC and has many features compared to the Infinix Zero 5. The huge display on Infinix Zero 5 does not come with any kind of protection but considering the price it is available at it could be still considered a better option. Although the specification of both the device is pretty good on paper. OnePlus 5 has a much powerful processor and hardware specification. But given the price of the device, it lands on top-end devices which will cost you more than INR 30,000. If your not tight on the budget than surely OnePlus 5 could be a good option but you don’t wish to spend more than a Rs. 20,000 on a smartphone right now, still want to experience what dual-camera can really do with decent specification and looks Infinix Zero 5 is the smartphone which you can buy right away.